One of the last times I saw Marco Benevento – I don't quite recall if it was the time before last, or the time before that – he was pounding his play-worn piano for a blissed-out, happy-footed festival crowd: Great-big, loony tunes – a real good time all around. It's a sorta fuzzy recollection, but I remember it was a Saturday, and early afternoon-time, I think, and good and bright and sunny there in those mountains down south. There was a huge, stuffed tiger's head fixed to his piano's frame, I remember, and a big sack he was giddily tossing goodies (T-shirts, I think) into the crowd from, and eye-smiles all around, and whisky by his stool. A big ol', round-handled jug of whisky. When I heard Benevento was coming to the crooked i a couple of weeks back, I smiled. And I wondered if there would be more of that same kind of happy debauchery, a collective symptom brought on by the stellar piano man's and his stellar cohorts' sound: A jubilant, free-range experiment that loops up and mashes together tight jazz and open-space jam and melt-your-face rock and, well, anything – everything – they like. I'm happy to say there was. And plenty of it. And for me, it was just about the best Benevento party yet. These days, Benevento swims the sonic waters with former Ween bassist Dave Dreiwitz and drummer Andy Borger, who also works with Tom Waits and Norah Jones. 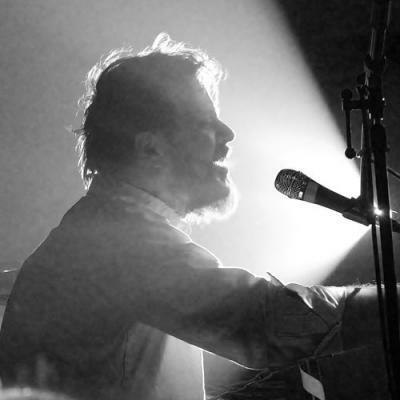 Every member of the trio has a big sound, a whole lot to contribute to their musical conversations, and Benevento gleefully gets the good-time shindig started, and keeps it going, with a big smile on his face, an ear down to the keys, and a leading wing always just a bit ahead of the flock. "He's walkin' all over that thing!," yelled one guy getting down in that Friday-night i crowd, hands to his head and feet shimmying, all immersed in everything Benevento was putting down. Yep, I thought, that about says it right there. And, like it always is with most worth-hearing, true music, what's going on there isn't easy to box up into words. Benevento and his buddies – Dreiwitz, Borger, and the colorful collection of other musicians he's taken to the stage with – are, to these ears, always among the best sorts to listen close to. They've trained long and listened close themselves, you can tell, learning all the rules and measurements of their instruments, and well, before they start bending all those rules, and good. In all of Benevento's wide-smiled, jesterly, expertly-crafted sonic concoctions, there's a slew of elements at work and play: You hear something of the funk of Stevie Wonder, the flamboyant showmanship of Elton John, the playful irreverence of Harry Nilsson. But what Benevento's got – the amalgam of all that masterful influence and more, coupled with his singular inspiration, his muse – is something all his own, to be sure. At the recent i show, that probably hit me hardest and best when Benevento tore into his medley melding Pink Floyd's "Fearless" with John's "Benny & the Jets." When I heard the first looped refrain of "Fearless" – a bent, building chant of cheers – I immediately felt those involuntarily, all-over chills (for some reason, my most physical manifestation of musical appreciation) that I always get when it's good, really good. And looking around, from the guys on stage to the way-caught-in-the-moment crowd, I could sure tell everyone else was feeling it too. Sure enough, and right on cue, I heard someone happily shout: "I'm FEELIN' it!!!" My brother and his wife – long two of my best show-going buddies – were close by me right then, and they were feelin' it too; both with those satisfied smiles they get when they're totally immersed in the sound. Another buddy did it up his way, all rubbery goofy-footed in his big mud boots, while his lady danced all loosy-goosy by his side. It looked that way all over the place that night. Benevento always wants everyone to get down – I mean, really get down – and he sees to it that everyone, himself included, always does. Man, that's good, I thought at that moment, and just that simply.